Hey there! Thanks for visiting. We’d love for you to hang around! Join the conversation on the Nothing if Not Intentional facebook page, subscribe to free email updates, or pin with us on pinterest so that you don’t miss an update! 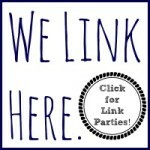 We love it when new readers join us on our blogging journey! Let’s say you have a new baby. Or a foster child has just joined your family. Or you’ve been in the hospital. Or my Christmas gift to you is dinner. Chances are good I’m bringing this. And by “good,” I mean that about 90% of the time, I bring calzones whenever I take someone a meal. Why? 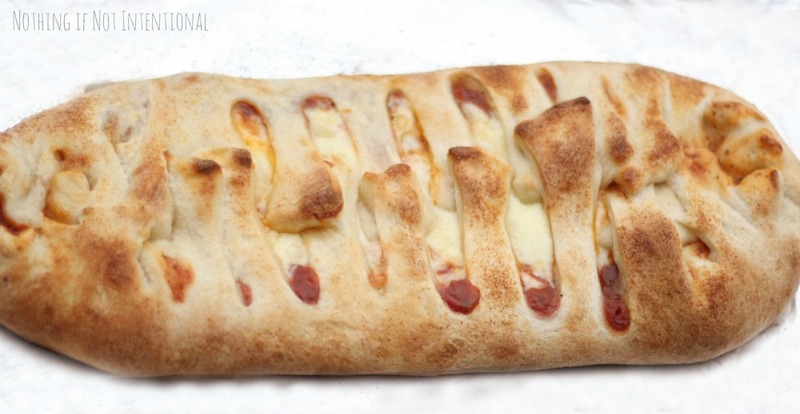 Well, because calzones are basically wrapped up pizza. And who doesn’t love pizza?! What’s that? You wanted to point out that healthy people don’t love pizza? Okay, so does it help if I add that you can (and I often do) make your own crust and fill it with heaping portions of vegetables? At our house, our favorites are bell peppers, mushrooms, and onions. And unlike store-bought or frozen pizza, you choose the amount of cheese and the type of sauce. Even when I’m not taking these to someone else, we’re eating calzones at home. They’re total comfort food for us, and I guarantee I’ll be relying on easy, yummy meals during the holiday chaos of the coming months. Dough–You can use refrigerated pizza dough from the store or you can use the dough setting on a bread maker to make your own. For this recipe, cook times follow store-bought dough. Usually homemade dough is thicker and requires a little extra time in the oven. Sauce–I use my MIL’s recipe. It’s one can of tomato sauce + garlic + pizza spices + sugar/sweetener. 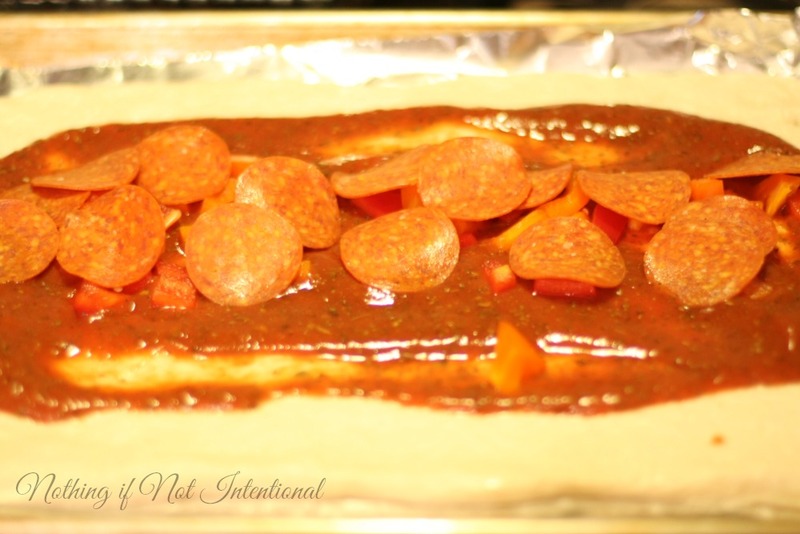 Calzone Toppings–sausage, pepperoni, peppers, beef, mushrooms, olives, onion, tomatoes, etc. Spread your dough out on a greased or non-stick cookie sheet. If I’m taking these to someone else, I put aluminum foil on the pan as well. That way clean up is simple. 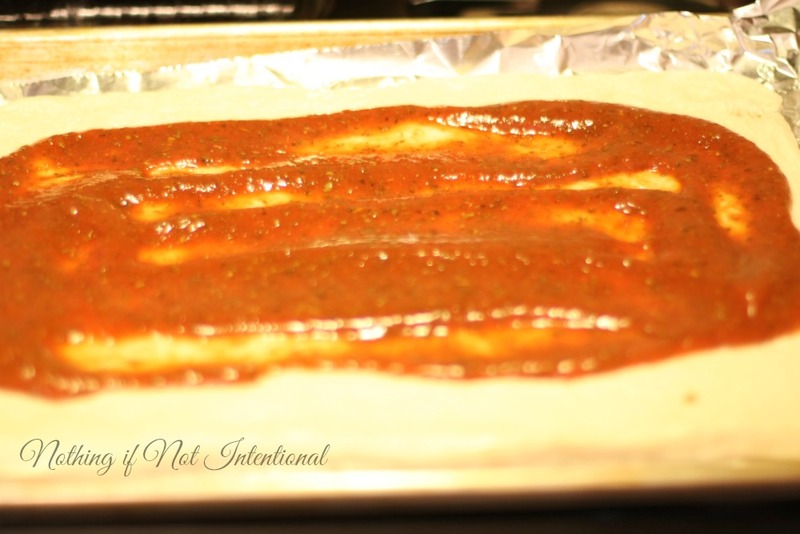 Add your sauce in line down the middle of the dough. Add your cheese. Add more cheese. I love cheese. Now, here’s what adds the “Wow!” factor. 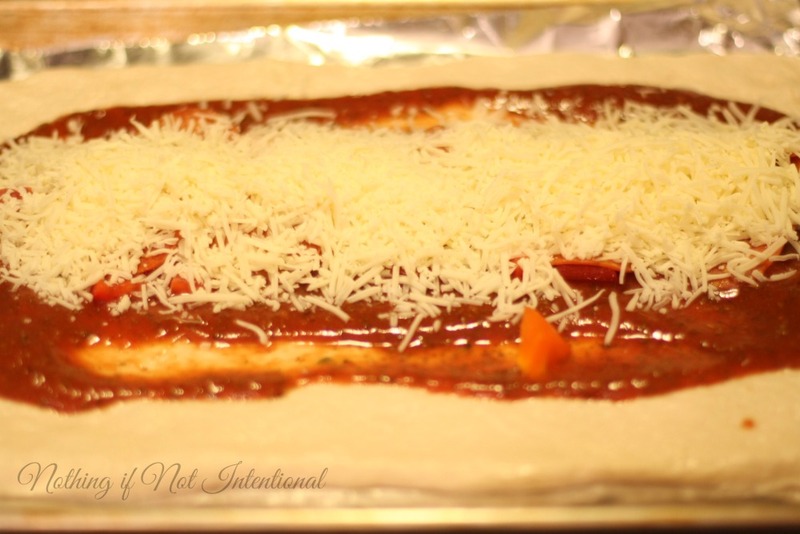 Cut the dough surrounding the sauce/toppings/cheese into horizontal strips. Gently pull the strips towards the center, alternating sides as you go. 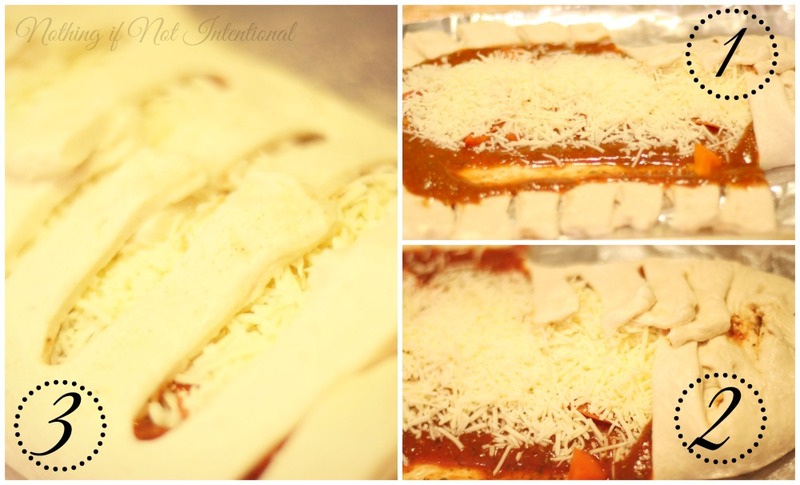 As the different sides meet in the middle, gently squeeze them together to seal the calzone. To give the calzone a beautiful brown color as it bakes, add a little oil and garlic to the top of the calzone. Pompeian provided me with Grapeseed oil to try, and it worked perfectly. 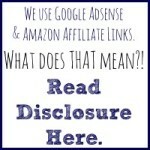 It’s all-natural, chemical-free, and made from 100% percent grapeseed oil from France. Oh, how I love experimenting with new oils and flavors! I sprayed the grapeseed oil on the top of my calzone and then sprinkled it with a bit of garlic. NOW, I find that bake times vary. I generally recommend 400 degrees for 10-15 minutes. BUT it all depends on the type of crust you use. You’re looking for the perfect combination of golden brown top and not-burned bottom. 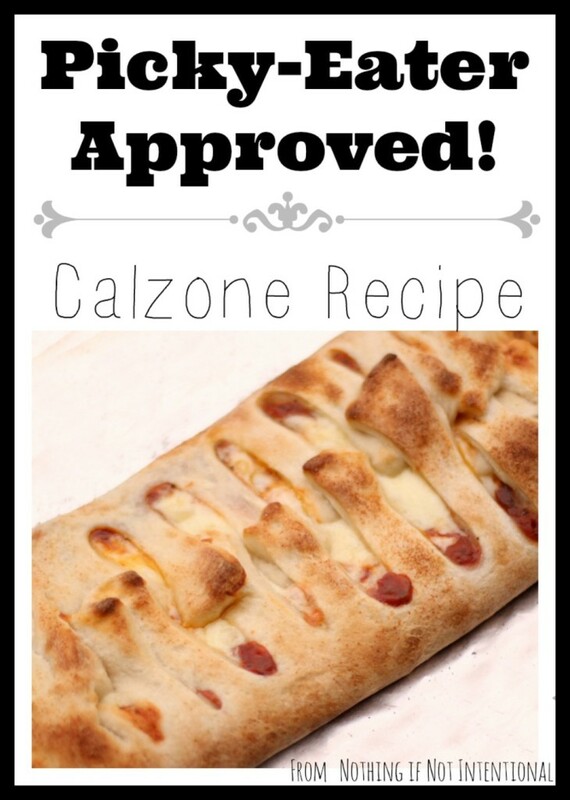 These calzones are total holiday comfort food for me and my family!